A local institution for yummy mummies, Trotters has been clothing young Sloanes for 25 years. Founded by Sophie Mirman (daughter of Royal milliner Simone Mirman) and husband Richard Ross - the team behind '80s highstreet success stories Tie Rack and Sock Shop - Trotters first opened its doors in October 1990. 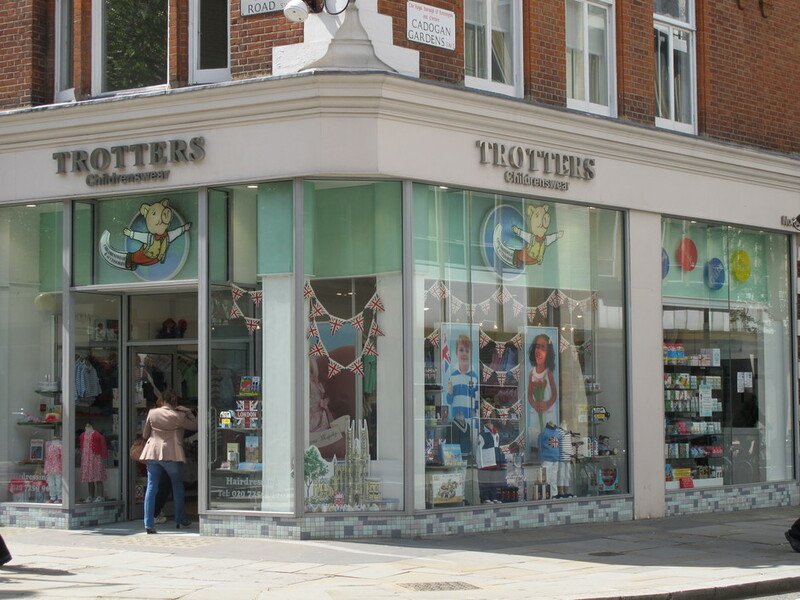 Quarter of a century and six stores later, Trotters is the go-to for Liberty print dresses, expensive hair cuts and back to school shoes for little princes and princess-in-training. What are the best dining options near Trotters London? Trotters gyms, sporting activities, health & beauty and fitness. The best pubs near London Trotters. Trotters clubs, bars, cabaret nights, casinos and interesting nightlife. Where to have your meeting, conference, exhibition, private dining or training course near Trotters. From cheap budget hotels to luxury 5 star suites see our deals for Trotters hotels, including Sloane Square Hotel London from 86% off.